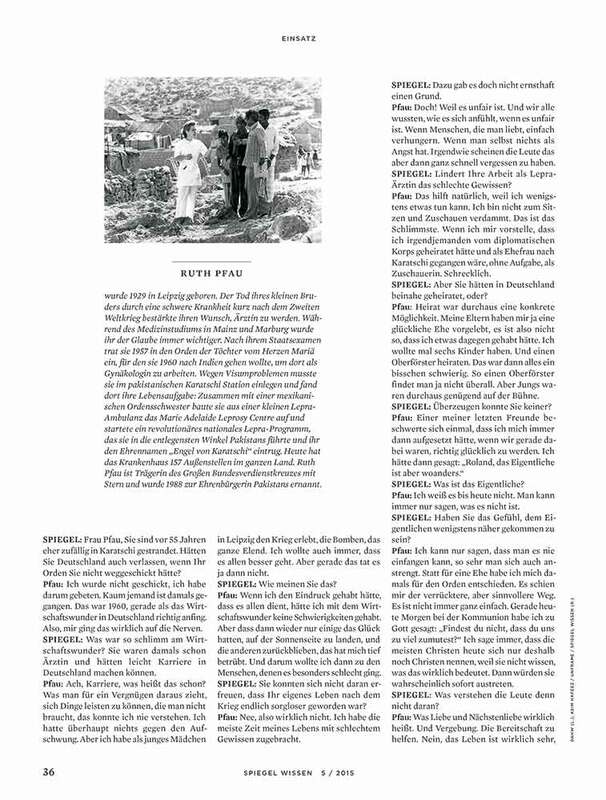 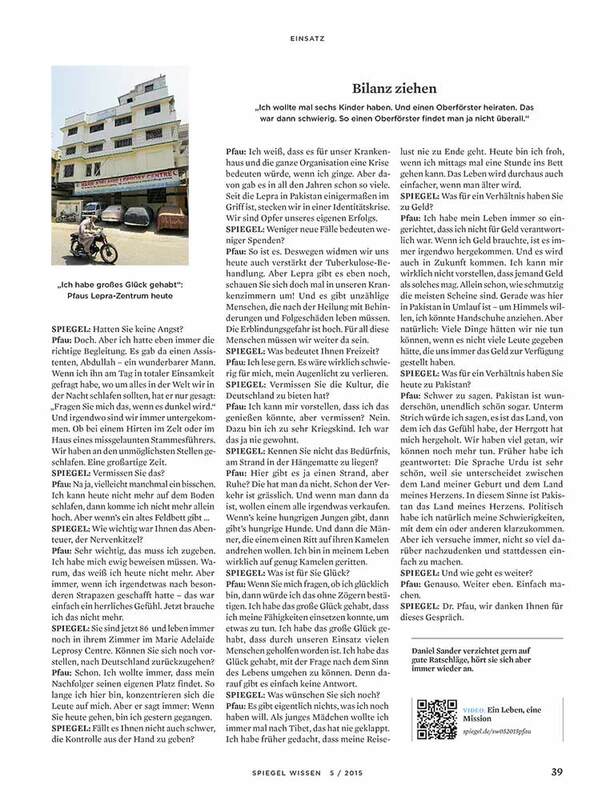 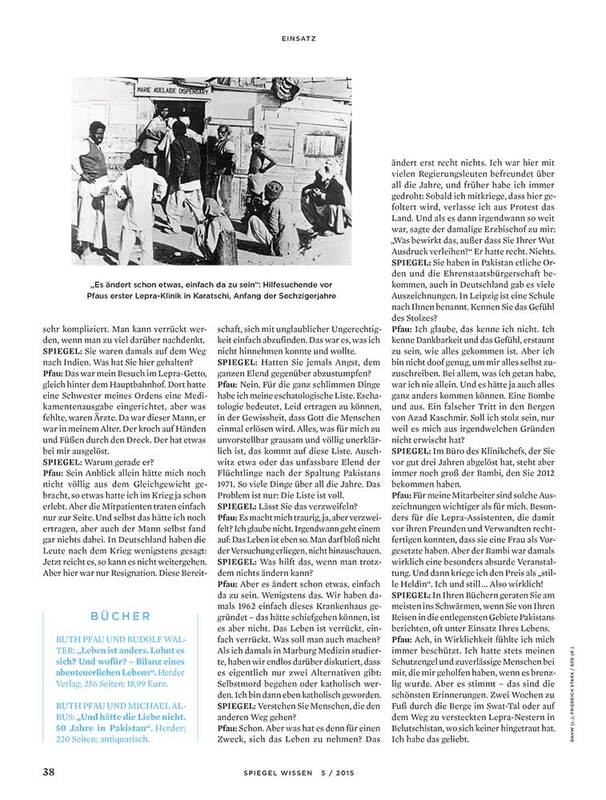 UnFrame Photographer, Asim Hafeez, has recently completed an assignment for Spiegel Wissen, the bimonthly German print magazine, to cover journalist Daniel Sander’s interview with the remarkable “Angel of Karachi”. 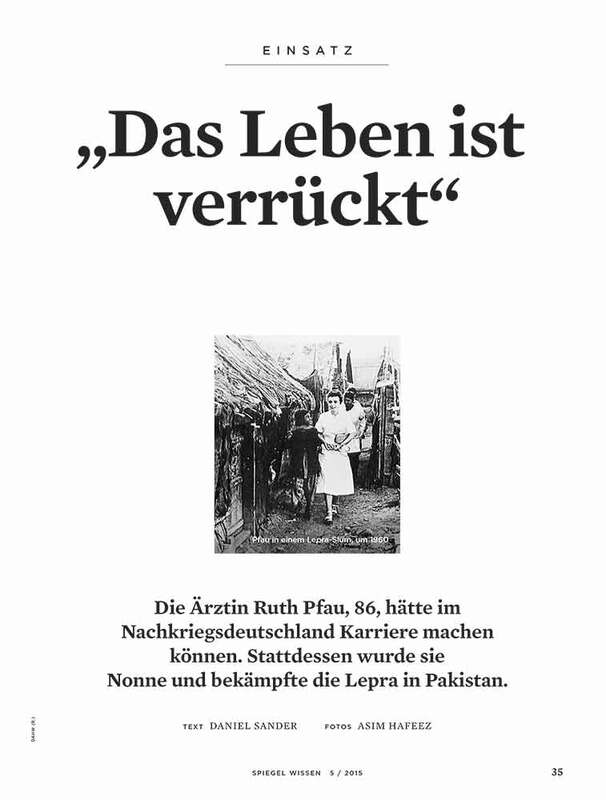 The 86 year old nun and doctor, Ruth Pfau, has dedicated most of her life to leading the successful fight against Leprosy in Pakistan, for which she received her honoray appelative and Pakistani citizenship. 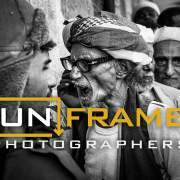 Creating a visual backdrop to the piece entitled Life is Crazy, Asim’s work captures her grandmotherly wholesomeness and honest humanity. 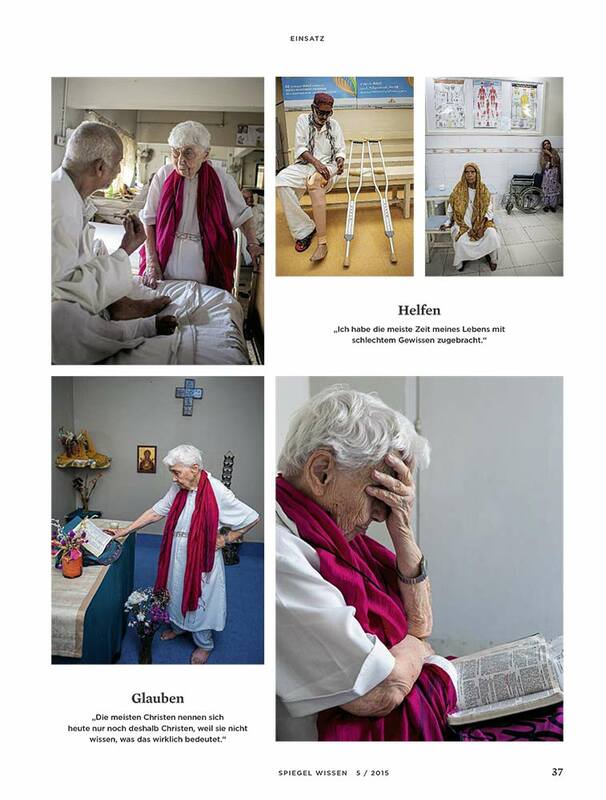 The lens captures Dr. Pfau in her private life as well as in the hospital environment, where she continues to tend to her patients, her daily chores and her continued spiritual pursuits. 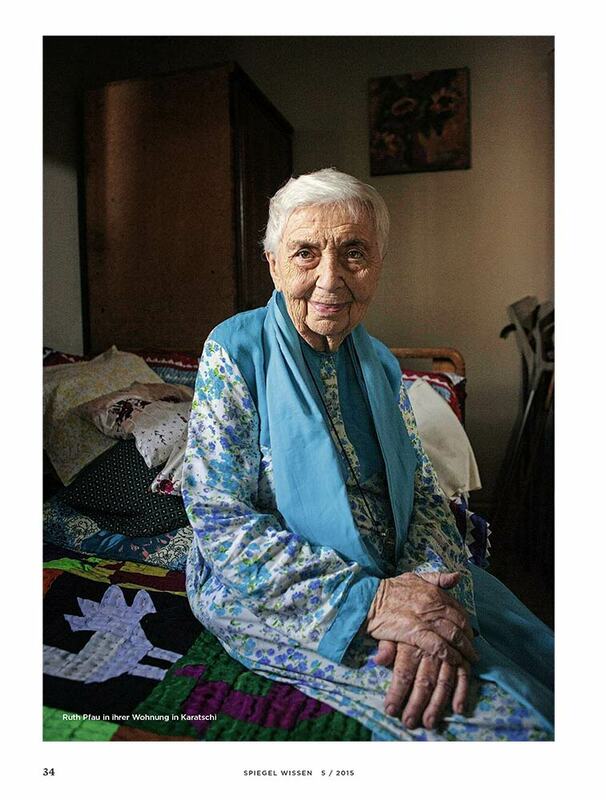 The 86 year old nun and doctor, Ruth Pfau, has dedicated most of her life to leading the successful fight against Leprosy in Pakistan, for which she received her honorary appellative and Pakistani citizenship.